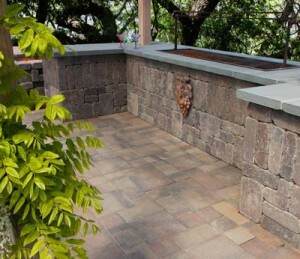 When installing a barbecue island, consideration must be given to the type and size of the BBQ, counter top preference, and any additional design features. Common features include sinks, refrigerators, storage cabinets, access doors and many more. Measure all components to get exact dimensions for all required openings prior to first course layout. Consider clearances required for doors and hood openings. Natural stone is a great counter top option. 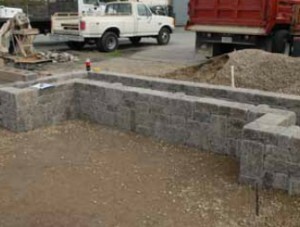 It can be cut to size, and provides a sophisticated finishing touch to the project. 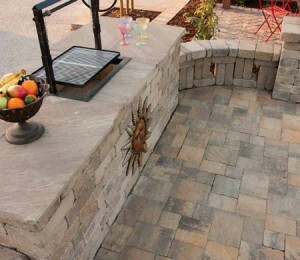 A local natural stone supplier can help with selection and pricing. It will be necessary to install fire brick to the inner walls where wood and charcoal will be burned.